Grime cop and teen fairy Pepper Powder lives for one thing: protecting the human species from magical zealots who seek to eradicate them with Violent Illness of Unusual Resistance and Strength (humans call them “viruses,” but their mistake is understandable. The very young often get their words wrong.). When a terrorist leader releases a necrophage bomb, it not only decimates Grime headquarters, it turns Pepper into the magical world’s first fairy amputee—but she’s not going to let a little thing like a missing leg stop her. To catch her criminal, and prevent him from unleashing a VIURS in one of the human world’s biggest shopping centers, West Edmonton Mall, she goes undercover as a human. But once Pepper’s theories of humanity collide with the reality of bullies, cliques, and environmental destruction, will she still believe humanity’s worth saving? Pepper Powder – Teenager, Fairy, Amputee and Grie Agent. Aponi – A teenage Human friend of Pepper’s. Harley Hands – Pepper’s partner in Grime. Donovan – Pepper and Harley’s human contact. 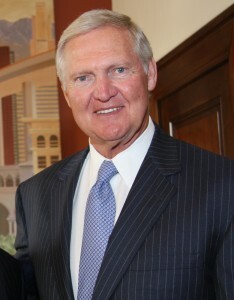 clLou Louis – Pepper and Harley’s boss. Claude Von Beulow – Escaped Criminal. Part of V.I.U.R.S. Commissioner Paulus Puck – Grime Police. 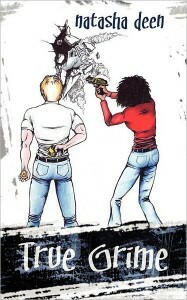 This book was a humorous blend of both fantasy and mystery. The character of Pepper was one easy to love, and the comedy based off of our humanity was spot on. The storyline was interesting, and kept me compelled, and it fit with all the characters. The book seemed to, beneath the surface, make a lot of statements about us as humans, and I felt that was one of the writer’s strengths. There was some strong language and adult situations such as violence so I’d recommend it for older teens, but even the old fogies among us can enjoy the story, and it was an enjoyable story. If you get the chance, pick up this book, I think you’ll love every minute of it. I did. Natasha Deen graduated from the University of Alberta with a B.A. in psychology. An advocate for vulnerable groups, she’s worked with the provincial government’s Children’s Services department as well as with non-profit agencies dedicated to helping functionally illiterate adults, and differently-abled people. Realizing the power of allegory and myths to affect change in the lives of those around her, she turned to full time writing in 2005. Under the pseudonym Bronwyn Storm, she is a multi-published author with The Wild Rose Press. 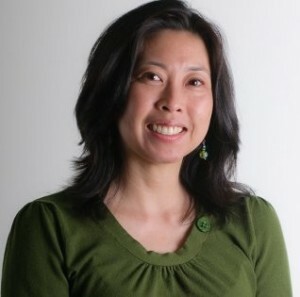 Her novel, Ethan’s Chase, was nominated for a 2008 CAPA Award for excellence in romance. When not working on her manuscripts, she is a writing instructor and editor to teens, adults and children, and uses the template of the story to teach conflict resolution, empowerment and the “why” behind human behavior. Natasha is a member of the Writers’ Guild of Alberta, the Canadian Authors’ Association, the Young Alberta Book Society, and sits on the board of YouthWrite. She is also a co-founder of the Edmonton Writing Group. 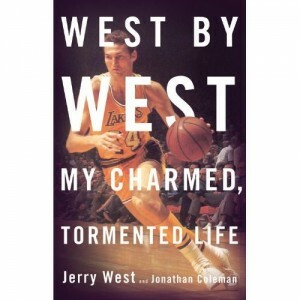 *Disclaimer* A special thanks goes out to Mindi at Smith Publicity for a review copy of this book. It in no way influenced my review. You can discuss it here or join my facebook page and discuss it there. We see a lot in the news regarding the U.S. Supreme Court. Particularly in the light of such cases as Citizens United and Roe V. Wade. 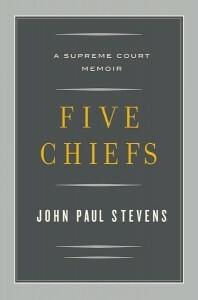 In Five Chiefs we actually get a glimpse behind the scenes and at the history of the court through the five Chief Justices that Justice John Paul Stevens personally knew. The book begins with an overview of the first 12 Justices. The following chapter deals with the job of the Chief Justice. We then get into the bones of book which discusses each Chief one by one from 1946 to the present. The reader also gets to see where John Paul Stevens himself disagreed with some of the decisions and the conflicts behind the scenes. Humphrey’s Executor: The court ruled that Congress was able to establish agencies such as the FTC that made and enforced their own rules and were not answerable to the President. United States vs. Lopez: The court held that the gun free school zones act of 1990 (No guns in school zones) exceeded the commerce clause. Justice Thomas argued for this. Justice Stevens it appears was against it and stated that Thurgood Marshall would have een that “even if the interest in eliminating the market for possession of handguns by schoolchildren would not have justified federal legislation in 1789, it sure does today.” Essentially saying that we have to adapt the constitution to fit the times. Garcia v. San Antonio Metropolitan Transit Authority: Say’s that federal power overseeing labor includes the power to prevent states from paying their employeees lower wages and/or discriminating against them. 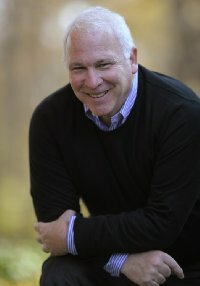 Death Penalty: Said the Constitution did not allow legal systems “that permit this unique penalty to be so wantonly and so freakishly imposed.” Justice Steven states that they only allowed it because they felt that states would lower the risk of error. If you are interested in the legal system or want a look behind some of the most famous Supreme Court decisions, then pick up this book. I think you’d find it very interesting. Be sure and check out our giveaway here. 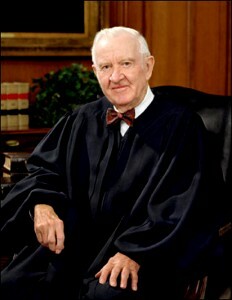 John Paul Stevens served as a Judge of the United States Court of Appeals for the Seventh Circuit from 1970-1975. President Ford nominated him as an Associate Justice of the Supreme Court, and he took his seat December 19, 1975. Justice Stevens retired from the Supreme Court on June 29, 2010. 6) Contest will continue until 11/15/2011. 6) Contest will continue until November 8, 2011. Elliott – 15 Year old. A stranger in a strange land. Sarintha – Young Princess trying to keep her kingdom together. Hooks – A Susquat, a creature similar to what we call Bigfoot. Marvus – Elliott’s Traveling Companion. Jingo – Another of Elliott’s Traveling Companions. Woolf – A winged creature out to capture Elliott. A young boy, with deformities of his hands and feet is always picked on by the boys in his town. His grandfather fills him with tales about a New Orleans of the past and encourages him to search through the basement. Thats when Elliott finds the portal to Pangrelor, a world of magic and strange creatures. I think Mr. Smith, for his debut did a great job on characterization. Elliott was the reluctant hero out to discover his place in this new world. He does so against a backdrop of corruption. Even the bad characters were multi-dimensional. As a reader, I could see their motives behind their actions, and you were able to get into their minds and see more of their background. The novel drew me along on the journey as Elliott met winged creatures, wizards, sasquatches, and other creatures. The reader was also there for all the narrow escapes and battles that went along the way. The novel was left open ended so here would be room for more stories, many more stories as it seemed involving Elliott and other worlds. Each chapter was accompanied by beautiful illustrations by Geof Isherwood and these really added to the overall feel of the book. I think it’s a great fantasy, and I don’t recall any strong language in it. Due to intense situations though, I’d recommend it for those over 13. It’s a tale in the classic style of fantasies such as Wizard of Oz, and I think when it’s released later this month you should pick it up. It’s definitely worth the price. You can see our interview with Mr. Smith here. Born in 1960 in Quantico, Virginia, Geof grew up on Maryland’s eastern shore, in Delaware and New Jersey, before his family permanently settled in Montreal, Quebec in 1971. From the age of nine, Geof set his sights on becoming a comic book artist. While in school, he drew his own primitive series of comics about barbarians, superheroes and his teachers, which he then colored, stapled into book form and shared with his classmates. From 1983 to 1998, Geof worked on Namor, The Sub-Mariner, Silver Surfer, Cosmic Powers Unlimited, all of the Conan books, Doctor Strange — Doctor Strange Annual No. 3 featured the debut of Geof’s own supervillain Kyllian Kells; Daredevil, G.I. Joe, The ‘Nam, Power Man/Iron Fist, Swords of the Swashbucklers, Peter Parker The Spectacular Spider-Man, Web of Spider-Man, Thor, X-Men Annual, Tales of Vishanti, Tales of Asgard, the graphic novel Revenge of the Living Monolith, as well as DC’s Suicide Squad and Barry Windsor-Smith’s Storyteller. 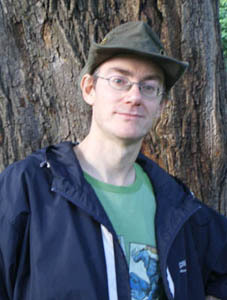 Today we are pleased to have with us Robert Louis Smith, author of the fantasy novel Antiquitas. Robert Louis Smith: I have been interested in creative writing from a very young age. Unlike most physicians, I have always been somewhat of a “left brain” person, and my favorite courses in high school and college were English and the language arts rather than science. As long as I can remember, I have aspired to write a novel that could be appreciated by others. Aside from this, my decision to sit down and start writing was really motivated by two different circumstances. On the one hand, there are authors out there (Hemingway and Dickens come to mind) who write so beautifully that I can’t help but marvel at their skill for the craft. When reading these authors, I find myself wishing I could find it within me to write something as powerful, or beautiful as they have done – scenes that tells us something meaningful or thought-provoking about the human condition. This is akin to a painter looking at the works of Michelangelo or Da Vinci and wishing he could create something as wonderful. On the other hand, I have consumed countless books over the years, many of them bestsellers, where I have reached the end and thought: I could do better than that! In addition to these very different motivations, I also find writing to be a wonderful escape from the stresses of daily life. 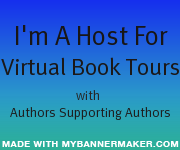 Robert Louis Smith: I love many different books and many different authors. Most of my reading-for-fun involves popular authors like Stephen King, Anne Rice, Michael Crichton, Dean Koontz, or JK Rowling (to name but a few). I suppose my favorite book is Stephen King’s The Stand, which I first read as a teenager. Other childhood favorites include the Tolkien books, the Narnia books, and as an adult, I thoroughly enjoyed the Harry Potter series. But I like to read just about any good story, and I can get caught up in anything. For example, in researching how horses behave for scenes in Antiquitas Lost, I read Lonesome Dove. I had never read a western in my life, and would have told you I had no interest in the genre, but I simply couldn’t put it down, and was sad when I reached the end. 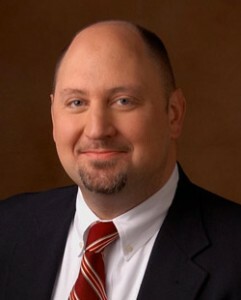 Robert Louis Smith: It is inevitable that each of the characters have at least some things in common with their creator. After all, each of their voices in the end comes from the writer. 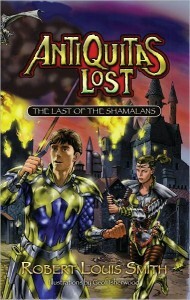 Antiquitas Lost is an epic fantasy novel, and many of the characters fill roles that are ultimately related to the “Hero’s Journey” plot structure. I wrote the novel in a fashion meant to be somewhat consistent with this type of plot, so really none of the characters are autobiographical. That said, the protagonist, Elliott, has a mindset that is cynical in many ways, and this is something he inherited from me. Also, I really like the character Hooks, who is a big beastly creature that serves in the role of protector. He has a big heart, is childlike at times, and is also quite resourceful. I suppose I relate to him the most (despite the fact that he isn’t human!). Robert Louis Smith: There are several Antiquitas Lost characters I would like to have dinner with. For starters, I will pick Waldemariam. He is the chancellor of the politically powerful Grayfarer Council, and he is a mysterious character with a hidden past. In addition to being 8 feet tall, winged, and wolfish in countenance, he is also a complete badass. I would love to see what he looks like in person and hear some of the battle tales he has to tell. I would also like to hear more about his birthplace and upbringing on the far side of Pangrelor, as it is surely much different than anything introduced in Antiquitas Lost. I would also be interested in having a conversation with Slipher. This character intrigues me because he is a member of the remorselessly violent serpan culture, yet somehow he seems like not such a bad guy. Throughout the book, I kept thinking that there was a good soul in there somewhere, and that he was reformable, if only he would let down his guard and trust. Robert Louis Smith: This is an interesting question, as I have chosen a “day job” that is well suited to me, but quite different from writing. Most of my hours are spent as an interventional cardiologist performing medical procedures in the cardiac catheterization lab. For a variety of reasons, this is an extremely rewarding career, and one that required many years of study and preparation. But medicine can be quite stressful, and the hours are often long and hard. Over the years, I have frequently joked that my cardiology career is “plan B”, just in case I can’t make it as a writer. It seems to me that a full time writing career is something reserved for the few, as it is difficult for most to financially support a lifelong career in a rewarding fashion. For those who have found long term personal financial stability writing, in many ways, I would say they have the ideal career. Robert Louis Smith: Aside from the constant desire to become a better writer, I’m not sure I would have done many things differently. Anyone who sits down earnestly to put pen to paper hopes to write something great. But writing is something that takes practice, and it is only with repeated effort that we can learn how to take those wonderful visions in our minds eye and transcribe them in a way that will be meaningful to others. All the preparation in the world cannot supersede the importance and value of honing your technical skills by simply sitting down and writing. Robert Louis Smith: If I had nothing to do but write, I suspect I could complete a novel in perhaps six or eight months. I am lucky in that I never seem to develop writer’s block (not yet, anyway). The thing that really holds me back is the fact that I have a busy, full-time career in medicine, so my writing time is limited. I do the majority of writing in the late-night hours, usually from 10pm to about midnight, and I am often quite tired this late in the day. Even so, if I have a long, uninterrupted stretch of nights, I can get quite a lot done. Antiquitas Lost was written in fits and starts over many years, and I often had to stop writing for months at a time in order to prepare for board exams, after the births of my children, or when preparing a project for work, etc. I have often wondered what I could accomplish if I had unlimited time to focus on writing, and could do it at times when I was more refreshed. Robert Louis Smith: I mention below that it is important to be disciplined about writing. This is a critical point. When I am working on a writing project, I plan a minimum of 2 hours daily (usually from 10pm to midnight) and I really make myself stick to this schedule. Often, I get going and work beyond the two hour limit, but writing is like studying. You have to sit down and make yourself do it if you want to achieve anything. Of course, if I didn’t have a “day job”, I would probably devote much more than two hours per day. Robert Louis Smith: In life, I talk too much. In writing, I write too much, which is to say I tend to include a lot of unnecessary verbage. In both settings, there is value in discovering the economy of language. Robert Louis Smith: I absolutely read my reviews and pay attention to them. How could you not? It is true that we shouldn’t let negative reviews discourage us from doing what we love, and that some reviewers, for whatever reason, offer unfair assessments. But on the whole, I find that professional reviewers do a good job at picking apart the strengths and weaknesses of my work, and I’m sure this influences me on some level. Robert Louis Smith: Write every day. Be disciplined about it, even if you think what you’re writing isn’t any good. It is only through experience that you learn what works and what doesn’t. Like any skill in life, practice makes perfect (and only God gets it right the first time). Robert Louis Smith: Since my debut novel is not yet released, I don’t have many readers to hear from just yet. But something interesting has happened with Antiquitas Lost. In late July, 2011, we put up a facebook page, which now has about 14,000 followers. In mid August, we put up a website, which has already been visited by web-surfers from 50 different countries spanning every continent except Antarctica. 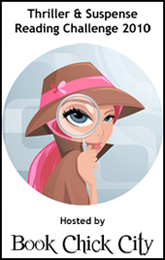 I have no idea how all of this has come about, but I have great fun perusing the online profiles of the Antiquitas Lost followers, and reading the comments they post. Most say they are excited about the release, or wonder if the book is going to be any good (Kirkus says it will be, by the way). Others comment of the remarkable quality of Geof Isherwood’s illustrations (they are fantastic). But the main thing I think of when I see the wide variety of people who show interest in the book is that these people were my target audience – the ones who I wrote the book for – and I hope they enjoy the ride as much as I have. Robert Louis Smith: Well, I’m new enough that I’m not sick of answering anything just yet. In fact, I’m glad somebody cares enough to ask, so thanks for the opportunity!